Created by Charlotte Juillard, designer, and Marie Farman, journalist, hava was born from a common desire: to imagine beautiful, evocative and timeless objects. Hava means wind in Hindi. Be carried away by discovery and travel, be agitated by creative flows, follow your instincts: this is the two founders’ philosophy. With their objects, they humbly hope to provoke an emotion, enchant a daily life and give a hint of freedom and spontaneity on conception, edition and distribution. Hava begins with the limited edition of Holi vases, available in two dimensions. The idea here is to explore the possibilities of coloured blown glass through a twisted interpretation. The technique of blown glass requires research and experimentation. By mixing the colors, taming the light and creating alchemy through fire and sand we experimented with the unpredictable glass process. Holi vases result from both a technical and a creative challenge. They are produced one at a time by talented glassmakers. 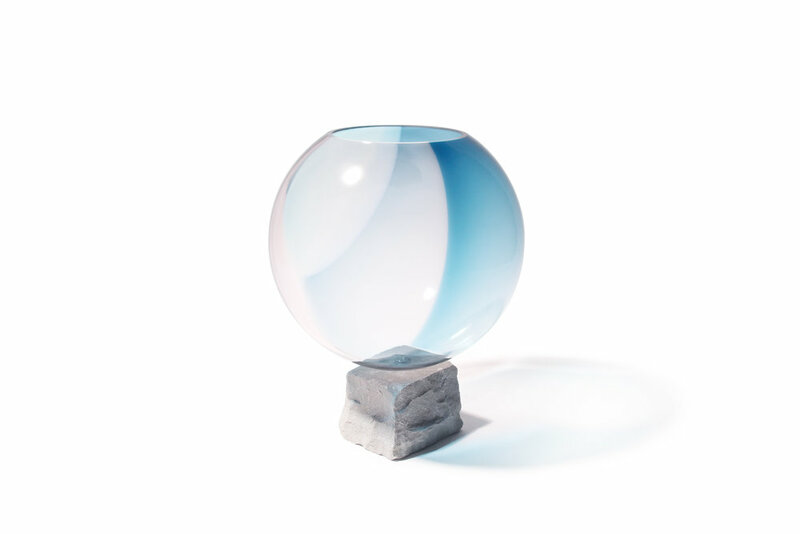 The coloured glass globe drops delicately on the stone base, creating a contrast between strength and lightness. After this first collection, the Hava team will continue to explore new surprising adventures, hand by hand with experienced craftsmen, each time writing a unique story. If you enjoyed this article, you should check out MIDDLE KINGDOM ceramics.